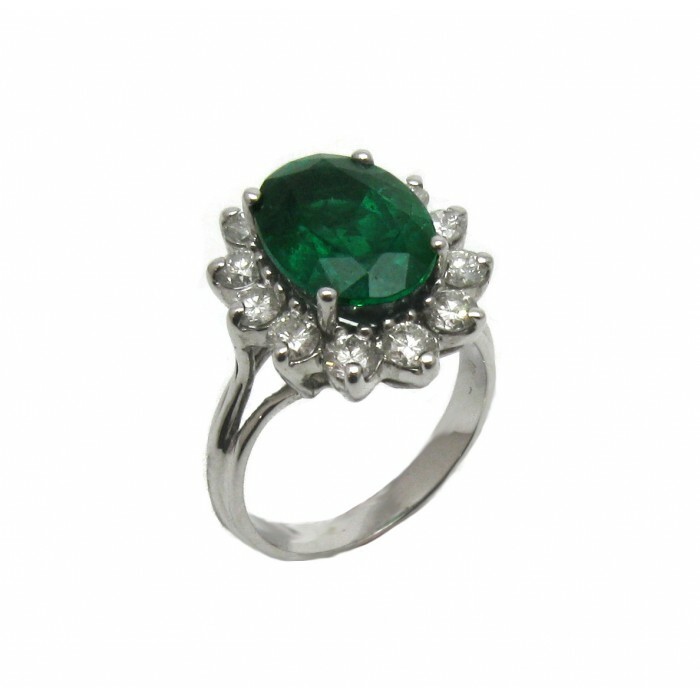 This classic emerald ring is a magnificent addition to the emerald-lover’s collection. 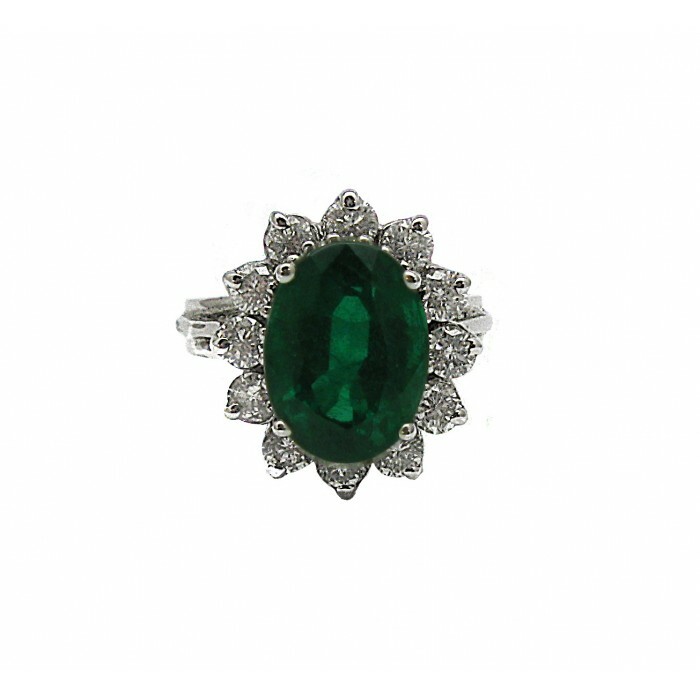 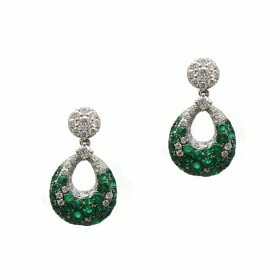 This ring features a 4.22CT oval green emerald and is surrounded by a halo of brilliant white diamonds. The sleek design makes a great cocktail ring.